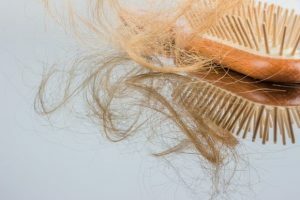 If you’ve recently noticed that your hair is thinning, it’s advisable to consult a physician who specializes in hair restoration sooner, rather than later. Patients whose hair loss has not yet become severe may be good candidates for the iGrow Hair Growth System, which is a non-surgical hair loss solution. This effective treatment option has been cleared by the FDA for use by both men and women with androgenetic alopecia, or pattern hair loss. It applies low-level light therapy to the scalp. The light therapy stimulates existing hair follicles to increase metabolic activity. The end result is the natural regrowth of hair. Many hair loss patients prefer this treatment option not only because it is non-surgical, but also because it is a highly convenient choice. If you choose the iGrowth System, you’ll use it in the comfort of your own home. The device looks similar to a helmet with attached headphones. You’ll place the helmet on your head for 25 minutes every other day. In about four to six months, you’ll begin seeing results. As an added bonus, most audio devices are compatible with the headphones.